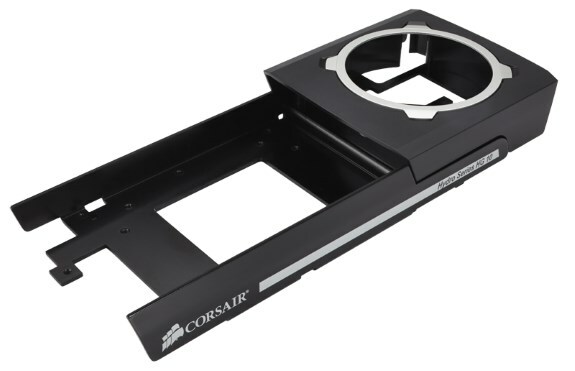 Corsair introduces the HG10 A1, a liquid cooling bracket designed for AMD's Radeon R9 290X and 290 graphics cards. With this bracket installed, you'll be able to attach a Corsair Hydro series liquid cooler to these graphics cards. The pricing of this bracket is $39.99. A variant for NVIDIA graphics cards is expected to be launched in early 2015. Corsair®, a worldwide leader in high-performance PC hardware, today announced the immediate availability of the Hydro SeriesTM HG10 A1 Edition GPU liquid cooling bracket for AMD RadeonTM R9 290X and 290 graphics cards. Both a bracket and a heatsink, the HG10 allows the users to attach a Corsair Hydro Series liquid cooler to their graphics card to cool the GPU and other critical circuitry, unlocking a new level of performance and cooling for their GPU. The black anodized aluminium HG10 bracket combined with a Corsair liquid cooler is a full-coverage GPU liquid cooling solution which cools the graphics card’s GPU as well as the heat-producing voltage regulator module (VRM) and video memory. The HG10 utilizes the graphics card’s original cooling fan, ensuring improved compatibility with the card’s fan speed and temperature monitoring features. Paired with any Corsair Hydro series liquid cooler, the HG10 is able to easily dissipate large amounts of heat from the graphics card, dropping peak temperatures by as much as 50 degrees Celsius and at significantly lower noise levels. The extra cooling on offer can open up substantial overclocking headroom, allowing enthusiasts to extract every bit of performance from their card. In addition, the improved cooling largely eliminates the graphics card’s thermal throttling of performance, resulting in a card that not only runs quieter and cooler, but faster as well. The Hydro Series HG10 A1 Edition GPU liquid cooling bracket is designed to support all stock reference versions of AMD Radeon R9 290X and 290X graphics cards. 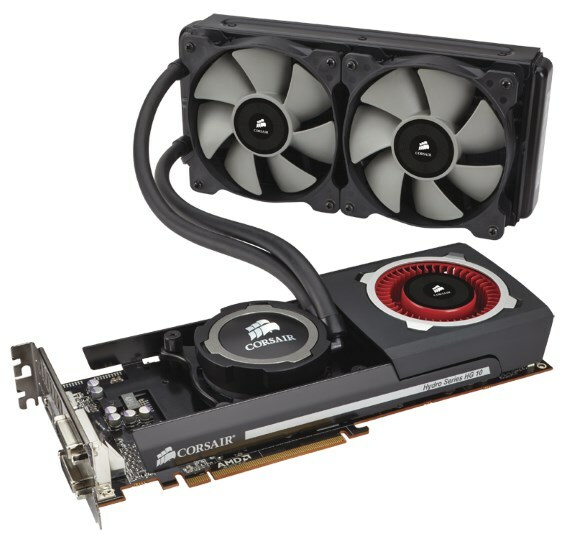 A full list of compatible cards can be found at corsair.com. New HG10 editions compatible with NVIDIA® GeForce® Titan, 7 Series, and other GPUs will be available in early 2015.